Alan Lam is one of Australias best known gynaecologists for his expertise in endoscopic treatment of complex endometriosis, pelvic floor prolapse, hysterectomy and myomectomy. Internationally and nationally recognised as an expert and teacher in minimally invasive surgery, he has been invited to lecture and demonstrate surgery at numerous international and national scientific conferences and workshops in Australia, New Zealand, Europe, North America, Thailand, Hong Kong, Singapore, China, the Middle East, over the last 25 years. 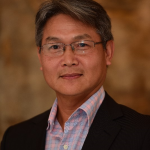 Renown for his public speaking and communication skills, A/Professor Lam holds an academic appointment as Clinical Associate Professor at the Northern Clinical School, University of Sydney where he lectures and teaches medical students on endometriosis and pelvic pain. A/Professor Lam is a Visiting Medical Officer to Royal North Shore Hospital, North Shore Private, and The Mater Hospitals. He has been the director of the internationally renowned CARE Master Classes in Minimally Invasive Pelvic Surgery since 2000. This program is based at the Northern Clinical School Clinical Skills & Simulation Centre, North Shore Private and the Mater Hospitals. It has attracted hundreds of participants from around Australia, New Zealand, Asia Pacific, Middle East, Europe, North America and is accredited by RANZCOG. He served on the Board of Australasian Gynaecological Endoscopy and Surgical Society (AGES) for 16 years, ultimately as the President of between 2007-2011. He served on the Board of the American Association of Gynecological Laparoscopists (2008-2009), the World Endometriosis Society (WES) and the International Society Gynecological Endoscopy (ISGE). He is a regular reviewwer for several major scientific journals including Human Reproduction, the Journal of Minimally Invasive Surgery, the European Journal of Obstetrics and Gynaecology, Gynaecological Surgery, and the Australian New Zealand Journal of Obstetrics and Gynaecology. He serves on the NSW Medical Advisory Committee of AVANT. He is regularly sought after for his opinion in medico-legal matters nationally as well as internationally. Besides medicine and surgery, he is passionate about tennis, golf, dancing and singing.